Coming straight out of Manchester, Zeph, is back with a brand new track as he continues his surge to the forefront of the scene. It’s been an exciting 12 months for the upcoming talent, so far we’ve seen him link up with Kenny Allstar for a heavy freestyle on his BBC Radio 1Xtra show, whilst also dropping some infectious singles including ‘Element’ and ‘Prologue’. Now it is time for some more vibes, and Zeph is kicking things off with a hard hitting single entitled ‘Pull Up’. 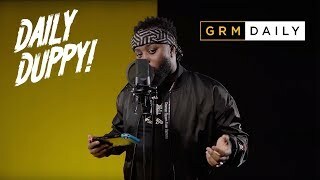 The talented rapper uses his artistic charisma to deliver a catchy hook which sits perfectly over this dope production from Pezmo, the man responsible for fellow Manny star Aitch’s hit track ‘Straight Rhymez’. Huge props have to be sent out to the team to at SVMI Visuals for cooking up a clean cut visual which marks Zeph’s debut on GRM Daily. Check it out now, and be ready for more moves from Zeph and the Northern Quarterz team.